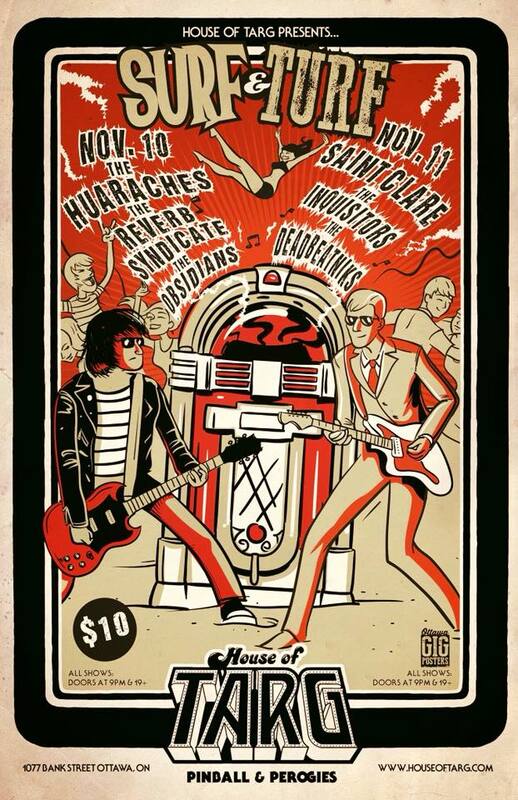 The Huaraches are pleased as punch to be invited back to Ottawa’s best venue to play with some of the hottest surf acts this side of the 49th parallel. Ottawa’s only Surf, Instro and Garage Rock Festival returns to House of TARG for the 2017 Edition! Instro favourites from past years combine with some new garage rock blood over a weekend gauranteed to make you dance. Only 10 monies at the door.